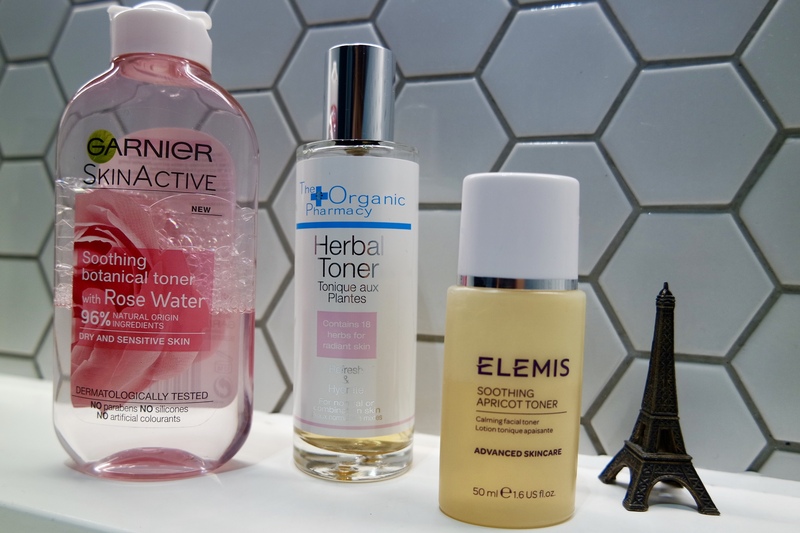 With the growing popularity of K-beauty, and multi-step skincare routines, toner is usually mentioned as one of the in-between stages, but a whole load of us are confused about what exactly is its purpose. You might remember using toner as a teenage, especially if you had acne and tried anything and everything to get rid of it. Then you probably also remember how much it dried your skin. But now, toner is back and it’s so much better than before. It is definitely not a total essential, but if you want to add something extra to your routine, go for toner. If you’re unsure about why you may need it, then read on, I’ve got the answers to all your questions! Toner is a water-like liquid, but trust me, it does more than plain water! Depending on the one you are using, it will have a variety of ingredients, some of them being hyaluronic acid, rose water, chamomile, aloe vera, glycerin, antioxidants and other good stuff I don’t know how to spell. It’s an in-between step in your skincare routine, as you’d apply it after cleansing and before moisturising. It will prep your face for all the products you’ll be layering on, helping them get absorbed by the skin. A good toner will get rid of any makeup or dirt that might be left on your face after cleansing, restore the skin’s natural acidic state, reduce the size of your pores, and prepare your face for the next steps in your routine. Some toners also exfoliate, so there’s really one for everyone. It is hydrating, making it easier for your moisturiser to sink in deeper and do its job better. Imagine your skin is like a sponge – it will absorb anything you put on it better if it’s slightly wet than when it’s completely dry. If you have oily or acne-prone skin, using a toner will help reduce enlarged pores and excess oil. If your skin is dry, the product will lessen redness and flaking, as it is moisturising. So yes, get one! Use it right after cleansing, and before moisturising. Toner acts like a primer for skincare products like serums and moisturisers, and we all know a good primer is vital. When you’ve finished double-cleansing, grab two cotton pads and put some toner on them. Then, without pulling the skin, apply the product all over your face, neck and décolletage, with inside-out swiping movements. Alternatively, if you’re feeling lazy and have a spritz one, just spray all over your face and neck. Toner can be used in the morning as well, before moisturising and applying sunscreen, which is when I tend to use the spritz one – I am too busy being half asleep to be able to deal with cotton pads, and there’s not much I need to remove from my face after I’ve washed it anyways. Different skin types need different care, but I’m sure you know that. So just as you pick the right moisturiser for your skin type or concern, you would pick the right toner. For example, if you have sensitive or dry skin, or your skin sometimes goes mad, like mine, you need a toner that will hydrate and soothe. 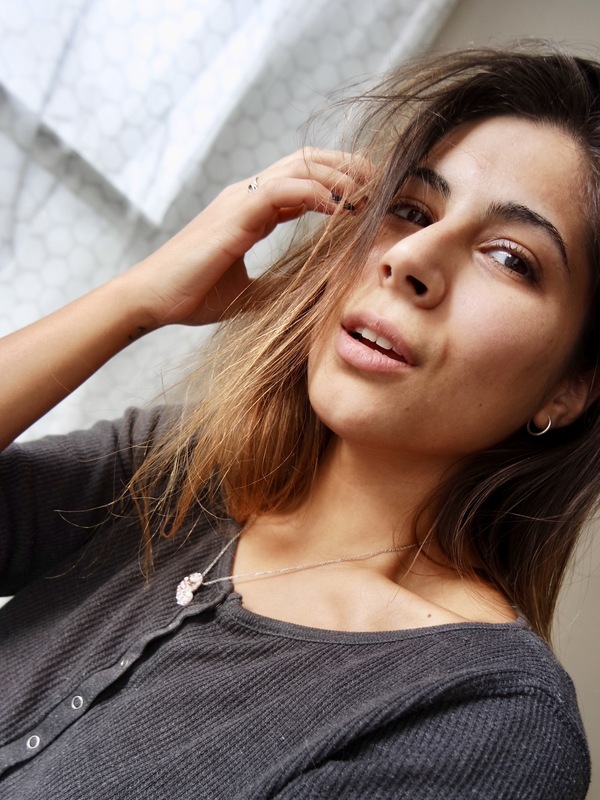 I currently use the Garnier Natural Rose Water Toner every day at home. 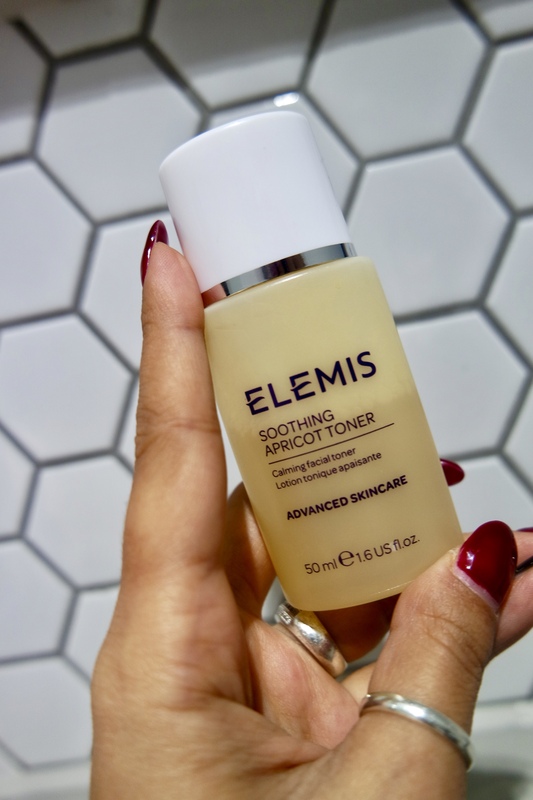 When I travel, I use the Elemis Apricot Toner and I’m obsessed with it. It’s just so nice I don’t want it to finish, so I only use it on trips, which makes it a bit more special. It smells divine and feels very nice on the skin, which means I will be getting it in full size soon! If you have oily, acne-prone skin, you need a toner which will wipe off excess oil and minimise your pores. 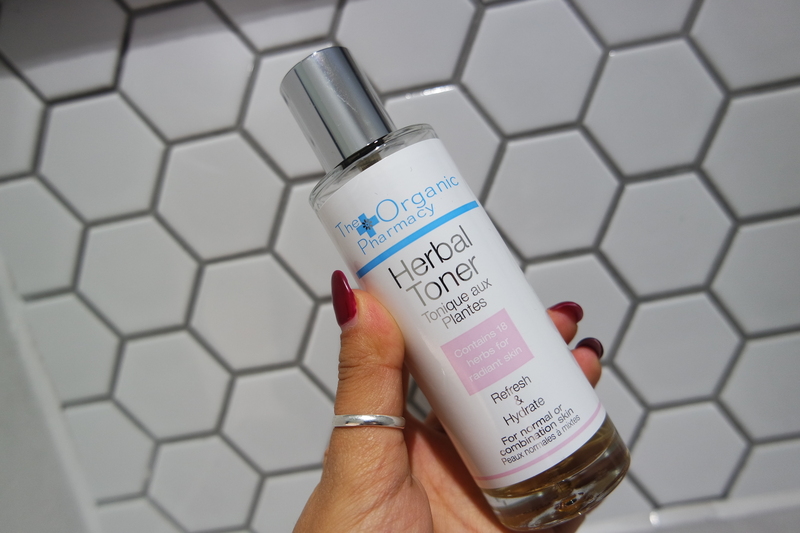 I use the Herbal Toner by The Organic Pharmacy, which contains 18 herbs, all working together to minimise the pores, feed your skin with antioxidants and prep it for the next step. Since it’s not very harsh, it’s suitable for normal skin too, as it doesn’t irritate it. Be warned that it does have a strong-ish herbal smell, in case you are not into that. There are also the exfoliating ones, like the cult Pixi Glow Tonic. It is suitable for most skin types and is the product that made liquid exfoliation a thing. It will melt away the dead cells on your skin, to reveal cleaner, brighter skin, thanks to the 5% glycolic acid it contains. See, I told you there was a toner for everyone! this is very helpful! i always wondered about toner (;)) thanks for the post!! This is so informative! Well done girl! I actually found this post pretty helpful, because like others (hopefully! ), I have never known what toner does for skin! I never knew there were actually so many different kinds of toner that do different things! Which one would you say is the best for absolute know-nothing-about-toner-people like me? I currently use one by Medik8 which is good – although sometimes I feel like I get more spots! !